Your Prague City guide showcasing the top ways to see Prague on a budget. With the best things to see, eat, drink and do in the wonderful city of Prague. I really like Prague. It’s a city that’s kind, has a romantic vibe and honestly, isn’t anywhere near as overpriced as other cities. Prague is the capital of the Czech Republic and we spent 4 days living in Prague, but I spent one day exploring the city! 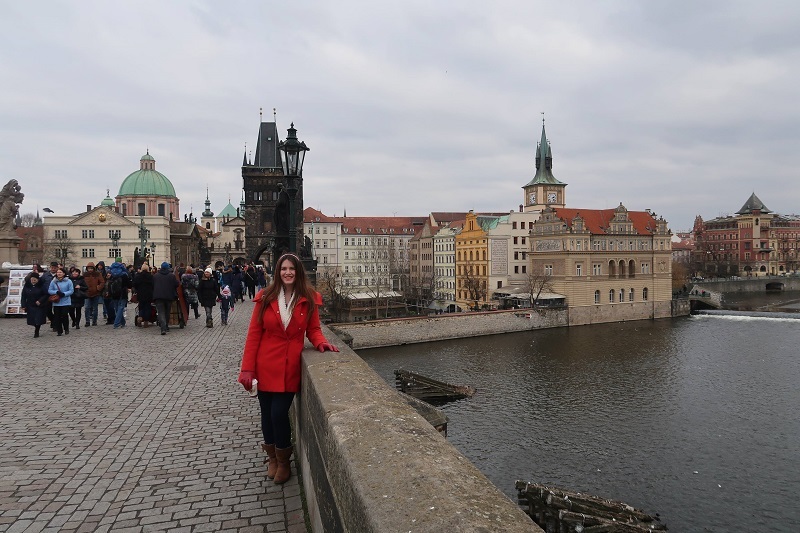 So, this is my Prague City Guide...and of course, it includes Prague on a budget, since that’s how we travel! Hello- Ahoj, which is pronounced like you’re on a captain's ship..A’hoy!- I ain’t kidding. Goodbye: It’s the same word as hello! Thank’s: dík (kind of pronounced gdeek)...god, I am bad at this! 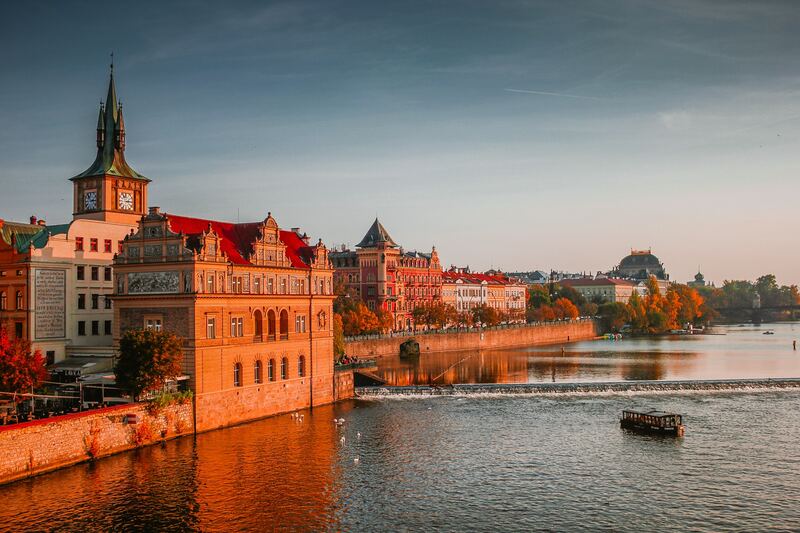 Honestly, Prague is one of these destinations that just blossoms all year round. Spring, it’s a good temperature with beautiful scenery, Summer, it’s warm and perfect for a “lad’s holiday”, Autumn, well think of the beautiful colours mixed in with the stunning architecture of Prague, and Winter, well, romantic Christmas markets, Christmas lights, Christmas food, it’s pretty good. Regardless of when you decide to go, all the places to see in Prague that are noted in this Prague city guide are relevant! 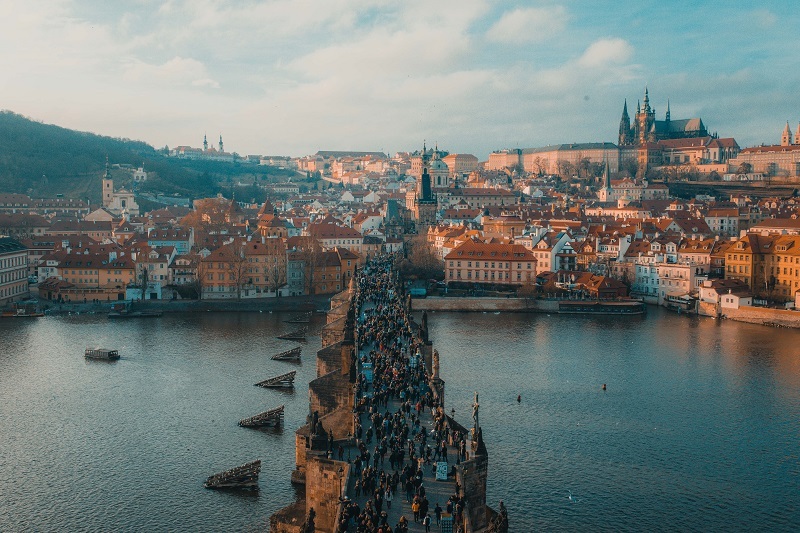 If Prague is part of your ongoing European adventure, then it’s easily accessible via train travel or of course driving. However, if you want to head from the UK, Ryanair has you covered with cheap flights throughout the year! If you are flexible on dates, then use their "search cheapest month" tool and head off then. Where are the best hotels in Prague? I didn’t stay in Prague city centre. I stayed a few districts out and it was only around £2 to reach Prague via the metro station, which was around 7 stops. We used Airbnb to find an apartment as we like to have the ability to cook our own meals when we are travelling. 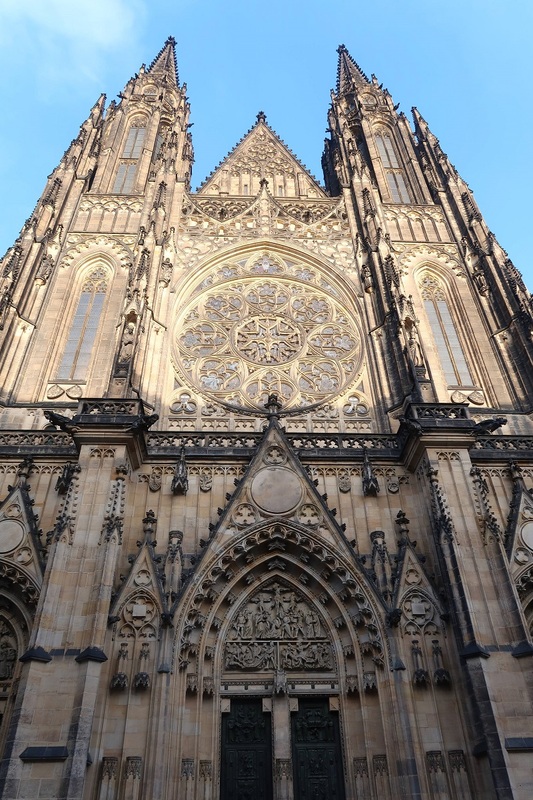 Also, we were seeing Prague on a budget, and if you are on a budget too, then I would suggest staying a few districts out and using the metro to get into the centre. However, as I strolled through Prague, I couldn’t help wishing that I had booked one night in the centre near the Old Town square as there are some beautiful hotels with just lovely views. For the best prices, I’d say as always, use booking.com. If you haven’t heard of booking.com (I don’t know how), but Brad and I use them 90% of the time (the other 10% is Airbnb) because they are the cheapest, you get genius perks such as late check-out and early check-in, welcome drinks and 10% discount! Now for the good part of this Prague city guide: the top places to see in Prague! This list is based primarily on what I did in Prague. I will include relevant places I didn’t get to see but would have liked to. 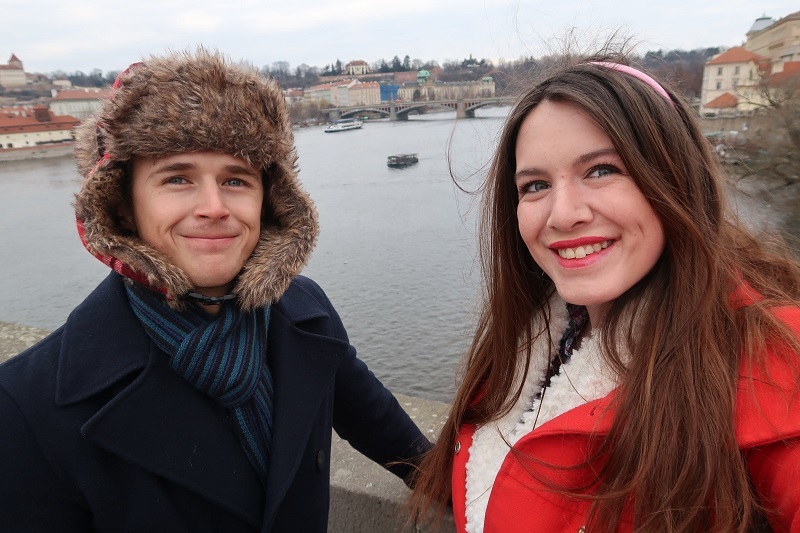 All the items on this list are also budget-friendly, since Bradley and I were seeing Prague on a budget too. Charles Bridge is probably the most iconic setting in Prague, and it really is a lovely 14th-century bridge to wander across. There is the opportunity to get your picture drawn, or buy gifts, or simply get a picture of yourself with the canal in the background. However, be aware that this is a super touristy area of Prague, so if too many tourists aren’t your vibe, then don’t get frustrated. This was something in Prague I had planned to do, but literally ran out of time. There are so many cheap canal tours on Viator and GetYourGuide, and I found one I really loved that took you around the “Venice canals” of Prague, along the main strip of water, and close to tourist sites whilst giving you a sightseeing tour. It even included a hot drink and ice cream. It was only £10ish each and it seemed perfect. Now is a good time to mention that Brad and I are never on time. If we say we will get to a destination at 11 am, we get there at 12, so on so forth. Basically, we got into Prague too late to squeeze everything in. And, I already had an evening planned, so I had to skip the canal cruise. But, do it! You can do romantic, or party sightseeing tours. Just get a cheap canal tour and experience Prague from the water. I did see some pretty good “evening dinner” style tours, and they looked great. Maybe opt for that if you are there with a loved one. The tours are exceptional value compared to other cities. Regardless of which city I visit, I love to get a view from up top. Whether it’s Venice, Rome, Turin, or in this case, Prague. With a little bit of research, I discovered Petrin Tower was a good place to go. Once you’ve walked to the far end of Charles Bridge (if you started at the Old Town direction), then it’s around a 20-minute walk to the Petrin Tower “station”. Use Maps.me or Google maps to find it. Once you are there, you can purchase a ticket for the little train that takes you up. If you are only going one way up then you should purchase a “30-minute” ticket. Metro in Prague works like this, tickets are based on the time it takes you to use your ticket/journey, rather than 1,2,3 journeys and you need coins to pay. 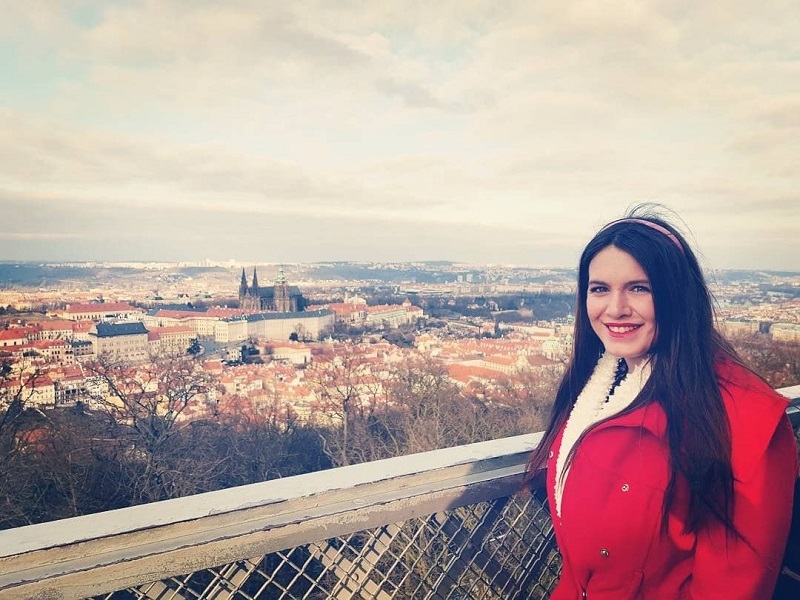 I recommend you only do the one-way ticket because the walk back down is beautiful and it will lead to my next top place to see in Prague, Prague castle. Anyway, once you get there (if it’s busy you may have to wait for the next train), you simply follow the directions to the tower at the top. What I will say is, the tower is 299 stairs to climb and if you aren’t slightly fit, you will struggle. Even Brad and I were out of breath when we reached the top! You can get a lift, but of course, that costs extra, and if you are visiting Prague on a budget, then that’s not really a good idea. This is SUPER cheap, so perfect for visiting Prague on a budget. The view at the top is lovely, however, it’s very crowded. It’s almost claustrophobic and you have to wait your turn basically to get a good view. But, once you do get a spot to stand, the views are great, so I think it’s worth it. Once you are done, head downstairs for a coffee and some Trdelník which is everywhere in Prague, and for cheap too. See, snacking on a budget in Prague is easy too! At the area in which the tower is situated, there is also a "mirror room". It's cheap to enter, but I never went, but if you have, then please comment below and tell me what you thought. The architecture of this castle is stunning and you will definitely need to take your camera. Random thing, but if you want to use a drone, you can’t use it near the castle, it’s a hefty fine! You don’t pay to go in and visit the castle area, and there are a couple of cafes and restaurants on the complex which I imagine is nice, however probably more pricey, so may not be suitable for visiting Prague on a budget. Also, there was still a full-on “Christmas shop” (called that! ), operating end of March, so do tell me if it’s still there. Prague is known for its cheap beer (I am talking as cheap as 30 pence) and great nightlife and clubs. So, if you like to party, then this is the place to do so. I never went to the nightclubs, because it wasn’t that sort of visit. But, I think Brad will probably do a “lads holiday” there at some stage, and I would like to take my sister, so I can report back on the clubbing then. This one is a little random, but it’s actually a trip I found on Viator! 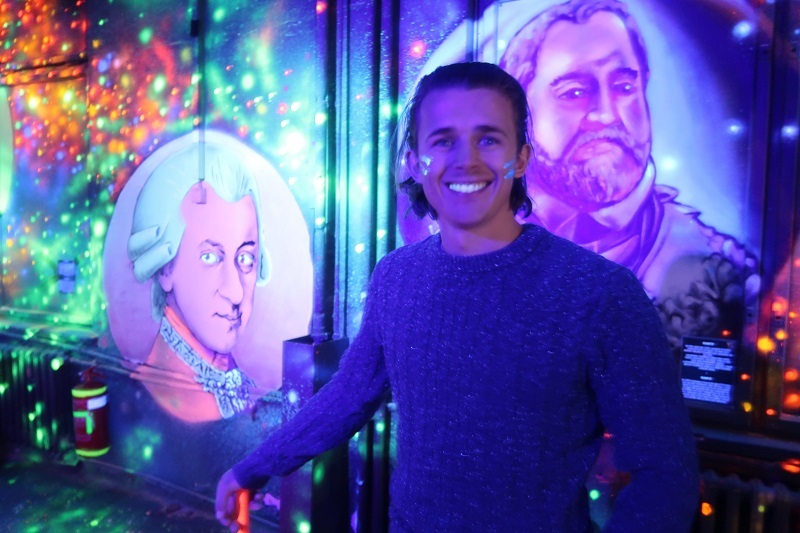 Bradley loves cider, and we both like mini golf, so for part of his birthday present, I booked us into this “Mini Golf and Games Prague" place, which you paid £9 each for unlimited crazy golf in a room that’s all fluorescent and lit up, and you get two free ciders. The ciders cost £2 anyway, so that was also a plus! It also had lots of other games inside it, and it was lots of fun. There is an escape room upstairs too which isn’t expensive. The Old Town Square in Prague is buzzing. There are markets selling all types of souvenirs, including a lot of weed and weed related products. There are also countless food stalls selling waffles, traditional Czech food, burgers, bratwurst. Everything! And, it’s all wallet-friendly, making it possible to eat in Prague on a budget. There are also a lot of great restaurants that will cater for all budgets. Of course, you’ve got your typical fast food chains which are cheap and cheerful, and there are some sit-down cafes in the square which offer main courses for £6 which is GOOD. I suggest you take a wander, check out different menus and find something to suit you. This way you can take in the atmosphere too, watch street performers perform, and take lots of pictures. I hope you’ve enjoyed my Prague city guide, and I hope you have found it is possible to do Prague on a budget. I believe it’s one of the most budget-friendly destinations in all of Europe and you could easily have a brilliant city break here. Comment below if you have been to Prague OR you are thinking of going!